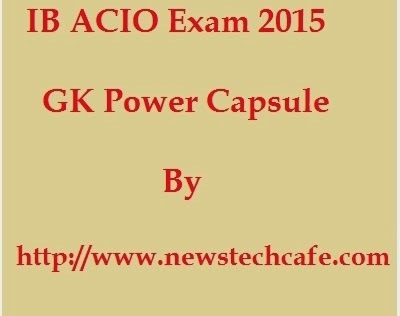 Friends I am Sharing Much awaiting GK power Capsule for IB ACIO Exam 2015. Ministry of Home Affairs (MHA) has activated the links to download Call Letter - Admit Card for the upcoming Intelligence Bureau(IB) ACIO (Assistant Central Intelligence Officers) Exam 2015 which is going to be held on the 22/Feb/2015. Just Download our GK Power capsule it will surely help you to got succeed in upcoming MHA Intelligence Bureau ACIO 2015 exam.